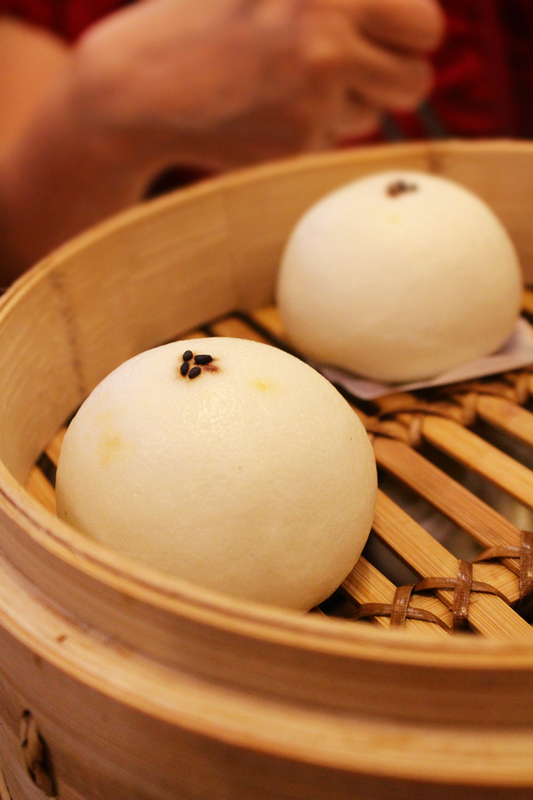 Ranked as one of the world's 'Top Ten Best Restaurants' by The New York Times, Michelin-starred Din Tai Fung is the one place to head for authentic Taiwanese xiao long baos (steamed pork dumplings). Its roots dated back to Taiwan 40 years ago, when Bingyi Yang stopped selling oil and switched to making xiao long baos for a living. 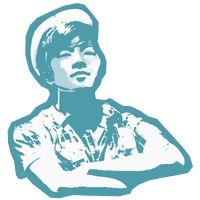 Businesses grew quickly with customers boasting about its exceptional quality and taste. Today, Din Tai Fung has became a widely acclaimed, international brand, offering customers distinctive culinary and service culture. It was the 60th birthday of girlfriend's father and I thought, what's better than to celebrate over a table of signature dim-sum. As expected, getting a table on Friday evenings is pretty difficult and they do not bother with reservations under 8 persons. However, orders could be placed beforehand to minimise waiting, so food arrived even before we warmed our seats. 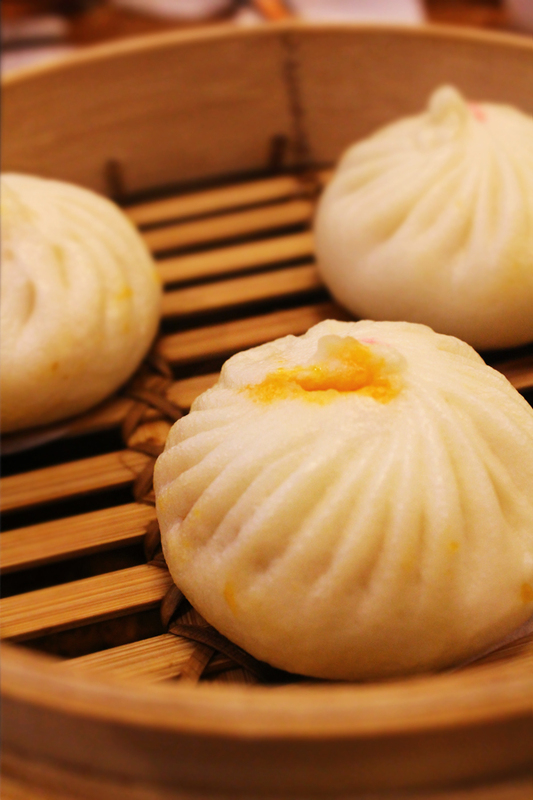 Xiao Long Baos, or affectionally known as XLB (S$6.80 for 6pc) are obviously a must-order. Thin melt-in-your-mouth dumpling skin with exquisite foldings, encapsulating the tantalising and juicy pork fillings was a sufficient reason to order second servings. Recently, they introduced the steamed chilli crab version (S$9 for 6pc) which is 40% larger than the original and consists of succulent crabmeat in spicy broth. For myself, I still prefer the former. Both are eaten best with vinegar and ginger. Steamed Chilli Crab and Pork Buns (S$4.30 for 3pc) are clever twists to the original steamed buns, but lacks the "oomph", perhaps it was a tad too dry. Shrimp Siew Mai (S$9.80 for 6pc) was slightly different from the normal steamed dumplings, their version was wrapped with dumpling skins in the shape of an auspicious money-bag, completed with a full juicy full shrimp on the surface. Amazing, yes, however, the high pricing is a minus point. 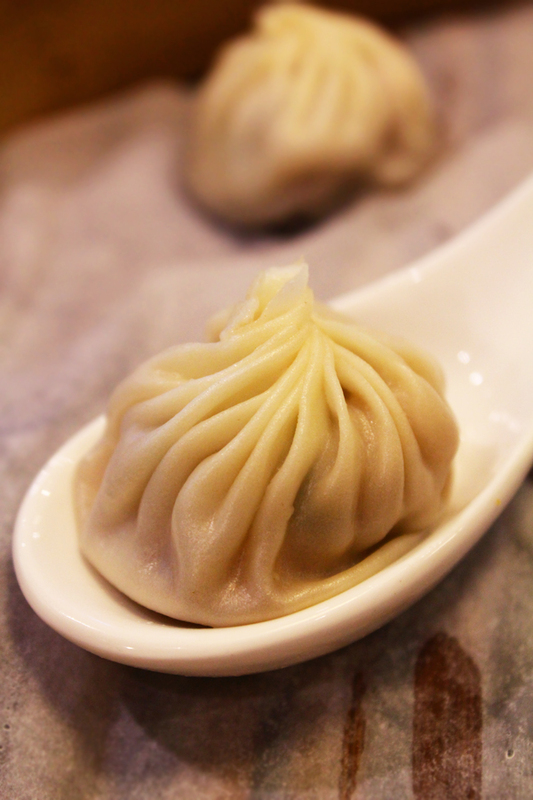 If there is one dish in Din Tai Fung that I had to label "under-rated", it would be their Goma Bun (S$3.60 for 3pc). Thick, flavourful black sesame wrapped within soft, fluffy bun was just purely amazing, or maybe because I was biased as a huge goma lover, but nonetheless, their rendition was genious. Similar to their siew mai rendition, Shrimp Dumplings (S$7.30 for 6pc) consists of succulent shrimps mixed with juicy minced pork, wrapped with dumpling skins. Good, maybe, but definitely not awesome. 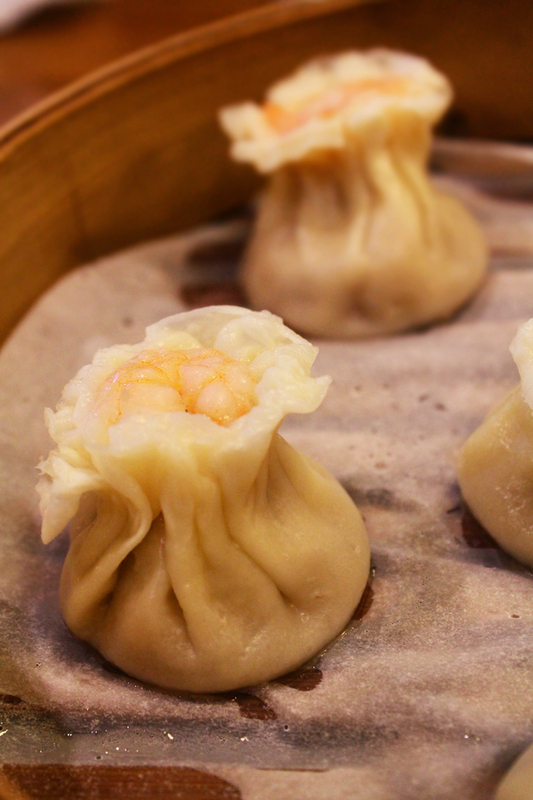 Besides dim sum dishes, Din Tai Fung serves a wide variety of enticing Asian delights like braised beef noodles, yang zhou fried rice and steamed chicken soup. 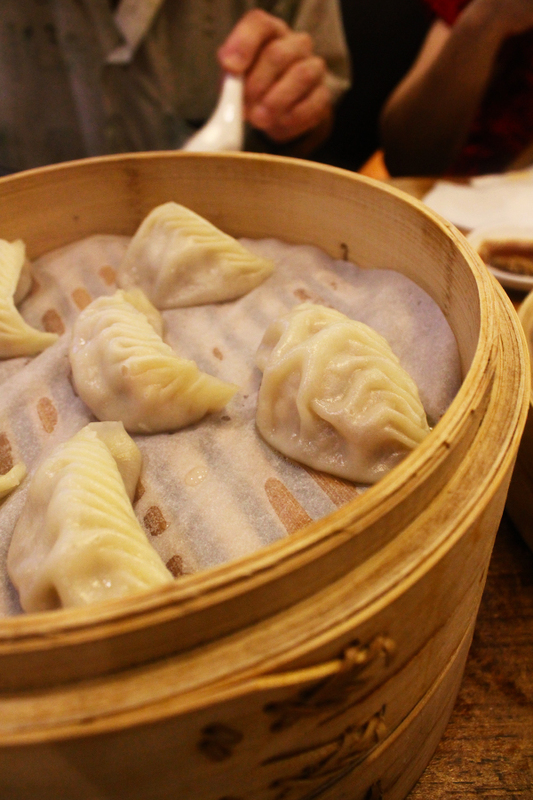 This post is making myself hungry already, which reminds me to get lunch and search for more good dim-sum places. Recommendation guys?